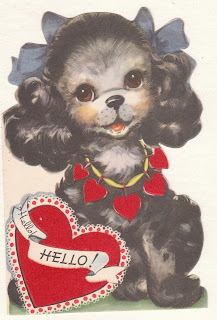 View from the Birdhouse: Everybody Loves Cute Animals - on Valentines! Everybody Loves Cute Animals - on Valentines! 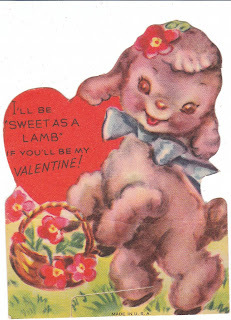 My wonderful faithful blog readers will know that one of my favorite things is vintage Valentines. I especially love animal Valentines. I'm going through a huge estate lot of vintage ephemera and scanning and listing cards this week. 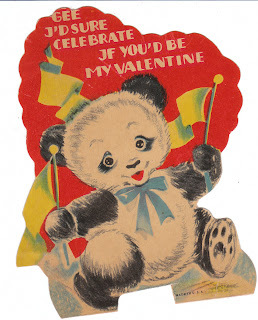 There were a few 1940's - 1950's vintage cards that are just too cute not to share. 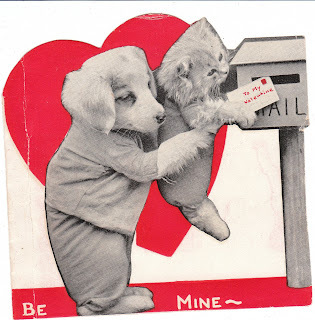 I especially love the little photo Valentine that features a cute puppy dog lifting a kitten up to mail a card. Very sweet!